“When I am governor of this great State, as I surely shall be, I want you all, my friends, to come down to Raleigh, come into the governor’s office, take a seat in the governor’s chair, smoke his cigars, spit on the floor an’ cuss the governor as much as you damn please.” – Robert Glenn at the conclusion of a campaign speech, as quoted by Tom Henderson. Robert Broadnax Glenn was born in Rockingham County, NC to Chalmers L. and Annie S. Dodge Glenn. His father died in the Civil War, and Glenn was raised by an uncle. He married Nina Deaderick on January 8, 1878, and they had two children: Chalmers L and Rebecca. Glenn was in the same freshman class at Davidson College as Woodrow Wilson. When later describing his time at Davidson, Glenn recalled the positive influence of President Martin. Like his classmate Woodrow Wilson, Glenn did not complete his studies at Davidson and instead transferred to the University of Virginia. From there, he attended Pearson’s law School in Richmond Hill, Yadkin County. In 1898 he was elected to the North Carolina state senate. Over the next few years he also served as a state solicitor, an elector for President Cleveland, and a US District Attorney. In 1904, he was elected governor of North Carolina. He would be known as the “prohibition governor,” due to his strong opposition to alcohol. In 1908, largely due to his influence, the North Carolina approved prohibition. 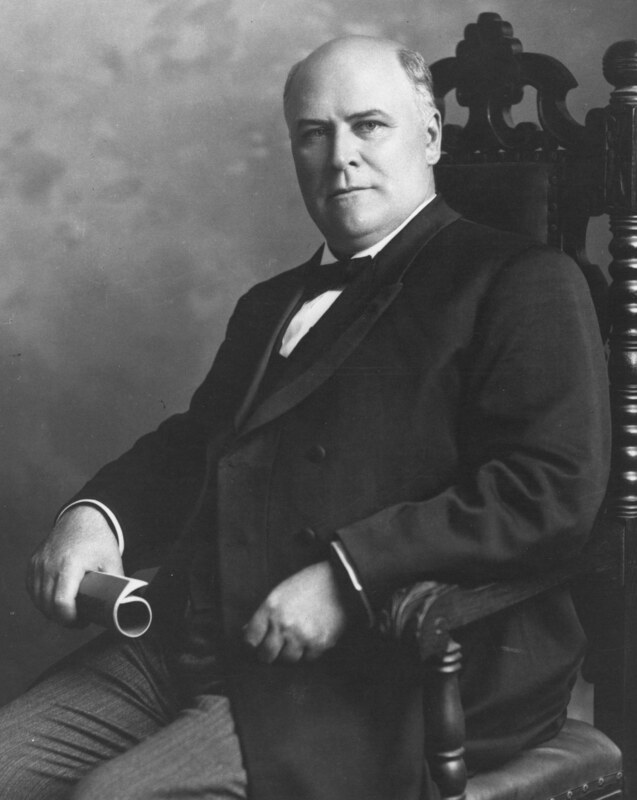 After he left office, Glenn served as an orator for the Presbyterian Church, the Lyceum Bureau, and other organizations. In 1914, he was assigned by President Woodrow Wilson to the International Waterways Commission, charged with settling disputes with Canada. Robert Glenn died on May 16, 1920. James Eubert Holshouser, Jr was born in Boone, NC on October 8, 1934 to James Eubert Holshouser and Virginia (Dayvault) Holshouser. He married Patricia Hollingswoth in 1961 and they have one daughter: Virginia Walker. 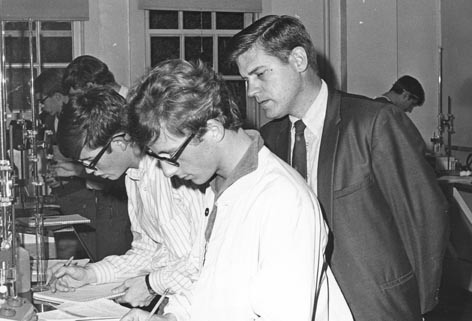 Holshouser recieved a BS in History from Davidson College in 1956 and went on to the University of North Carolina Law School at Chapel Hill, where he served as class president. After attaining his law degree, he returned to Boone and joined his father’s law firm, Holshouser and Holshouser. While working in Boone he became involved in numerous local improvement organizations. In 1962 Holshouser was elected to the N.C. House of Representatives on a Republican platform. He served four terms, during which he also served on the Board of Directors for both the Davidson College Alumni Association and the UNC Law Alumni Association. Holshouser was elected Secretary of the Republican Joint House-Senate caucus in 1963 and continued to rise in the party until in 1966 he was elected to a five-year term as State Chairman of the Republican Party. At age 31, he was the youngest chairman-elect in state history and would serve for three terms. During his first term the largest Republican Legislative delegation in history was elected. 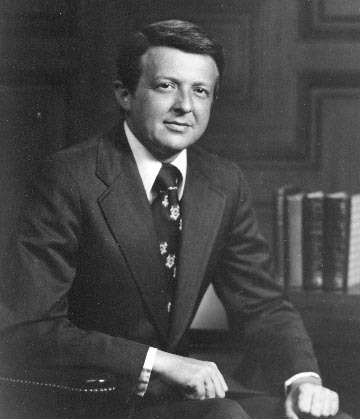 In 1973 Holshouser was elected Governor of North Carolina, as the first Republican governor of North Carolina in 72 years and the youngest Chief Executive since the nineteenth century. After his term in office Holshouser was involved in such organizations as the Davidson College Board of Trustees, UNC Board of Governors, and Ronald Reagan’s presidental campaign team. In his life, Holshouser received numerous honors, such as an honorary Doctor of Laws (LLD) degree from Appalachian State University in 1974, an honorary Doctor of Laws (LLD) degree from Davidson College in 1974, and the UNC School of Law Distinguished Alumni award in 1981. Dorothy (McAuley) Martin and they have three children: James G. Jr, Emily, and Benson. Martin received his BS degree from Davidson College in 1957 and went on to receive his PhD from Princeton University. Martin taught chemistry at Davidson College from 1960-1972. He later described himself as a “very tough” instructor. Also in the 1960s, Martin played tuba for five seasons with the Charlotte Symphony Orchestra. He began his political career while teaching at Davidson College by trying to mobilize town Republicans. Martin ran for town council in 1963 and lost, but three years later he won the race for County Commissioner and served for three terms. In 1972 he ran successfully for a seat in the US House of Representatives, which he held for six terms. In 1982, proposed the only budget that year that did not have a deficit (didn’t pass by 18 votes). During his time, he served as chairman of the House Republican Research Committee. Martin was inaugurated as Governor of North Carolina in 1985. He held the office for two terms, becoming the first Republican to serve two terms as Governor of North Carolina. During his second term as Governor, Martin announced his intention to retire from politics at the end of his term. By 1996 Martin was serving as VP for research at Carolinas Medical Center in Charlotte, and in 2005 he accepted a request from County Manager Harry Jones to lead a committee on overcrowded schools. Brochure. Inauguration, 1985. Martin, James Grubbs (1957) Inauguration as Governor Davidsoniana file. Davidson College Archives, Davidson, NC. Brochure. Inauguration, 1989. Martin, James Grubbs (1957) Inauguration as Governor Davidsoniana file. Davidson College Archives, Davidson, NC. Brunei, Cecil Flyer, Davidson College. 13 February, 1971. Alcohol Policy Davidsoniana file. Davidson College Archives, Davidson, NC. Clipping. Glenn, Robert Broadnax (1875) (Governor of North Carolina) Davidsoniana file. Davidson College Archives, Davidson, NC. Coker, Jeffery. Clipping. “Interview with Jim Martin.” The Davidsonian. 28 October 1996. Martin, James Grubbs (1957) Inauguration as Governor Davidsoniana file. Davidson College Archives, Davidson, NC. Cotton, Alice B. “Glenn, Robert Broadnax.” Dictionary of North Carolina Biography, Vol. II. Glenn, Robert Broadnax alumni file. Davidson College Archives, Davidson, NC. Eudy, Ken and Katherine White. Clipping. “Martin Ready to Begin Term as Governor.” Charlotte Observer. 5 January 1985. Martin, James Grubbs (1957) Inauguration as Governor Davidsoniana file. Davidson College Archives, Davidson, NC. Glenn, Robert Broadnax. Letter to Paul B. Means. Glenn, Robert Broadnax (1875) (Governor of North Carolina) Davidsoniana file. Davidson College Archives, Davidson, NC. Henderson, Tom. “Plain Tales from the Country.” The State. 2 May 1936. III.49 Glenn, Robert Broadnax alumni file. Davidson College Archives, Davidson, NC. “Holshouser, James Eubert, Jr.” Who’s Who in American Politics. 21st ed. 2007. Perlmutt, David. Clipping. “Duty Calls, Martin Steps Back in Spotlight.” Charlotte Observer. 23 December 2005. Martin, James Grubbs (1957) Inauguration as Governor Davidsoniana file. Davidson College Archives, Davidson, NC. “Robert Broadnax Glenn.” Glenn, Robert Broadnax alumni file. Davidson College Archives, Davidson, NC.